Are you using AWS, GCP or other cloud providers? Read about the integrations between JetBrains’ tools and the cloud platform of your choice. 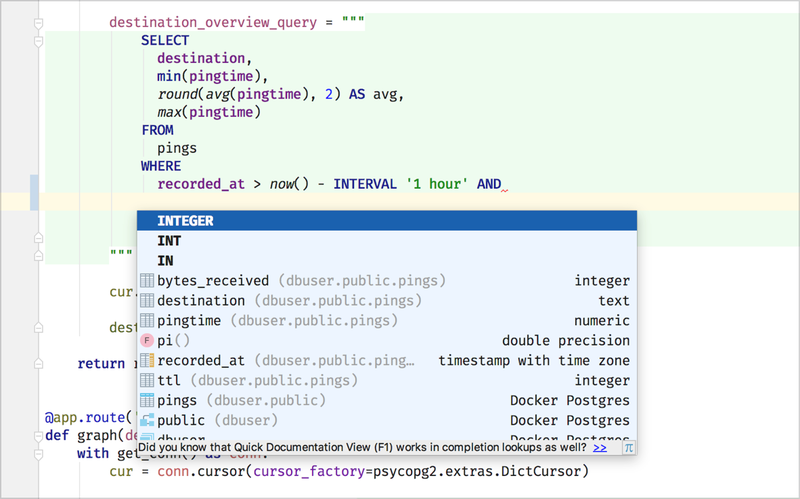 Every JetBrains IDE can deploy code and artifacts using SCP, and open an SSH terminal. Complex SSH configurations with bastion hosts are supported and can be configured using the SSH config file (even on Windows). You may be using Vagrant to help automate your VM processes. Vagrant is supported in all JetBrains IDEs, and you can connect to Vagrant-configured VMs from the IDE without further configuration. Using Kubernetes? Although Kubernetes makes deployment much easier, it requires complex YAML files for configuration. 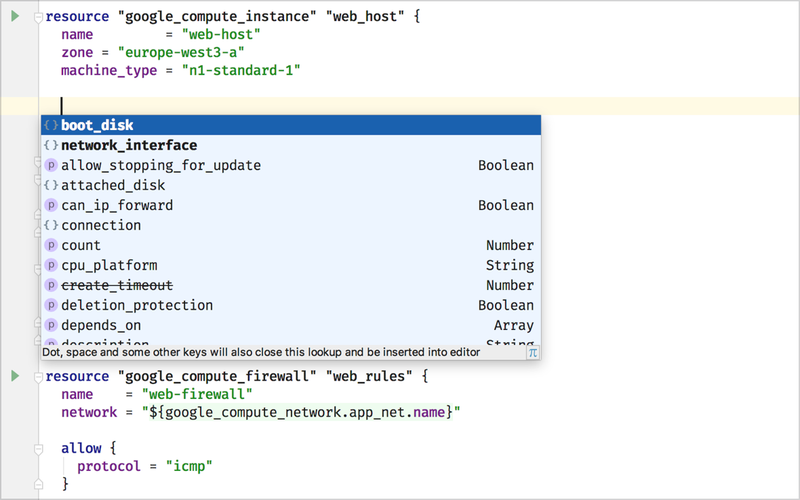 The JetBrains Kubernetes plugin helps you with this: it generates snippets, enables you to navigate within your configuration, and offers inspections to help you write valid configurations. To make development for remote environments easier, DataGrip comes with support for SSH tunnels out of the box. To connect to your staging environment’s database, just have DataGrip connect through your bastion host. Rather than being made for a single RDBMS, DataGrip can connect to all major database servers: PostgreSQL, Microsoft SQL Server, Oracle Database, MySQL, and more. Additionally, DataGrip has built-in support for connecting to Amazon Redshift and Microsoft Azure databases. Does your build queue sometimes grow longer than you’d like? 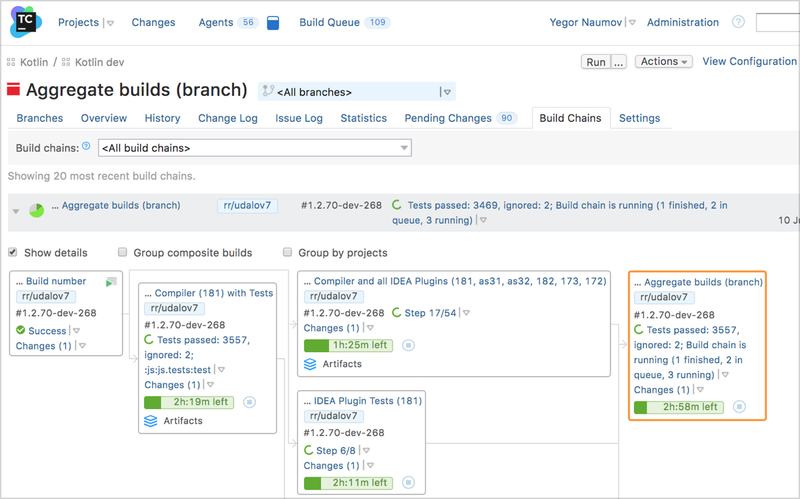 TeamCity cloud agents can dynamically add and remove build agents based on your current needs. You can mix and match your computing providers: TeamCity can dynamically add build agents on-premises with vSphere, in addition to AWS, Google Cloud Platform, and Azure. Using a third-party plugin, agents can also be dynamically created in an OpenStack private cloud.